Pakistan based terrorists planning to attack India continuously, American intelligence warns India. Terrorist of a Pakistan based terrorist organization Jaish-e-Mohammad had suddenly attacked the Sunjuwan Military Station in the Jammu region. The Terrorists entered the military family settlement from the rear side in the early hours of Sunday and started their attack with hurling grenades and heavy arm firing. The terrorists continued their attack over the civilians and the security forces till the next day by hiding in the settlements. Six jawans martyred and three militants were killed in that attack. Civilians including kids and a pregnant woman had been injured in the attack. On Monday February 12, Defence Minister Nirmala Sitaraman flied to Jammu to meet the state Chief Minister Mehbooba Mufti and to make her comforting visit to the hospital where the injured civilians are admitted including an injured pregnant woman who gave birth to her child in the hospital. 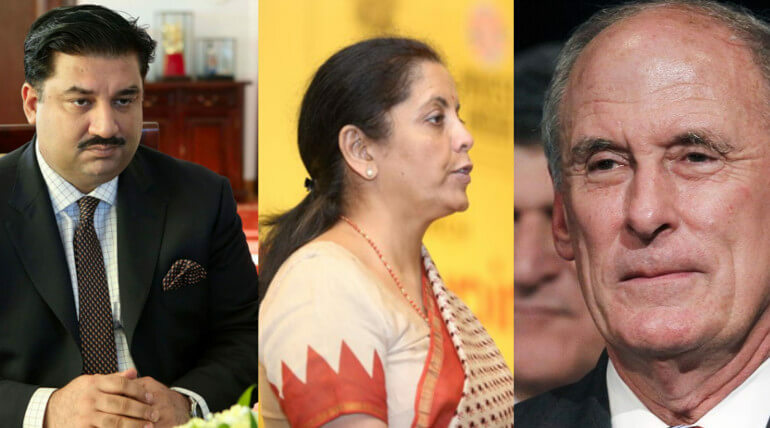 Nirmala Sitaraman hopped for a severe retreat to Pakistan's indirect attack and its negligence over India's warnings against its indirect encouragement of terrorism across Indo-Pak borders. She continued that Pakistan will have to face the consequences for its apathy over the banning of Pakistan terrorist organization. The Sunjuwan attack by the Pakistan aided terrorist organization have only increased rage against Pakistan. Nirmala Sitaraman told in a press meet on February 12 conducted after the comforting visit. Her speech that blames Pakistan had created an expectations of Surgical Strike 2.0. On Tuesday, Pakistan Defence Minister Khurram Dastgir Khan replied to the speech of Nirmala Sitaraman in a TV interview. He said India have to stop blaming Pakistan for everything there happens. "Pakistan will pay India in its own coin in case any Indian misadventure," said Khan. He said there will be an equal and proportional response from Pak for any Indian aggression and strategic miscalculation. He also said India should not leap in sudden actions like surgical strike. In the mean time, American Intelligence had warned India about terror attack plan on India by the Pakistan based terrorist organization. Dan Coats, director of National Intelligence of America on Wednesday February 14, had alerted Indian defence ministry that terrorist organizations that based under Pakistan government is planning for a continuous attack over India. Whether Pakistan started its funding for militants to attack Indian borders before Surgical Strike 2.0?